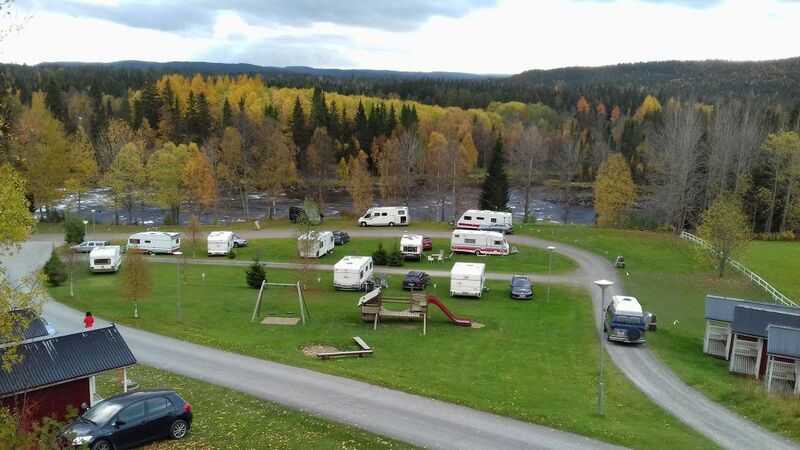 When you camp at Ristafallet campsite you feel very close to nature. 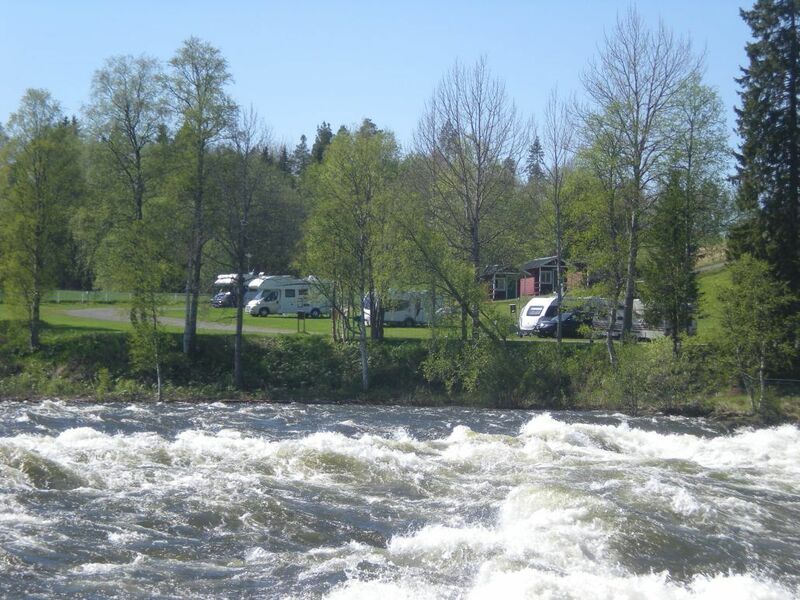 Anyone who goes from the camping area down to the waterfall and follow the rapids will be amazed about the scenery that Jämtland has to offer. 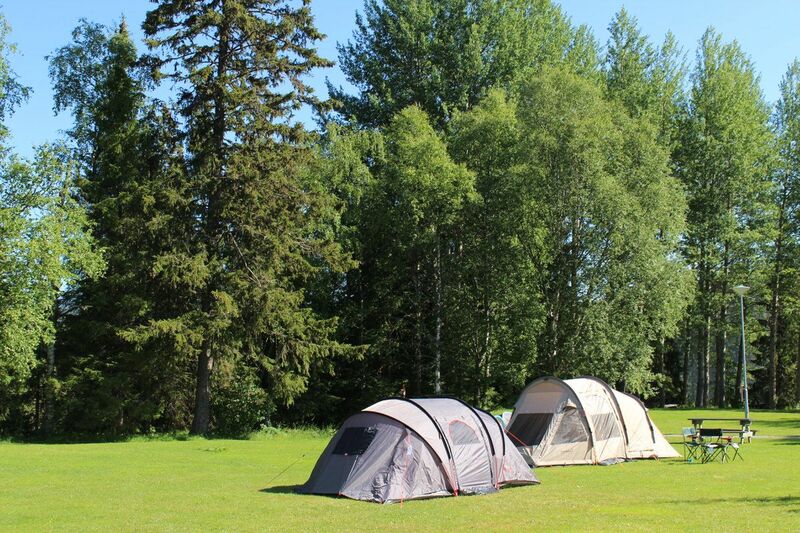 The campsite doesn’t have clearly marked plots which gives a more natural feeling. 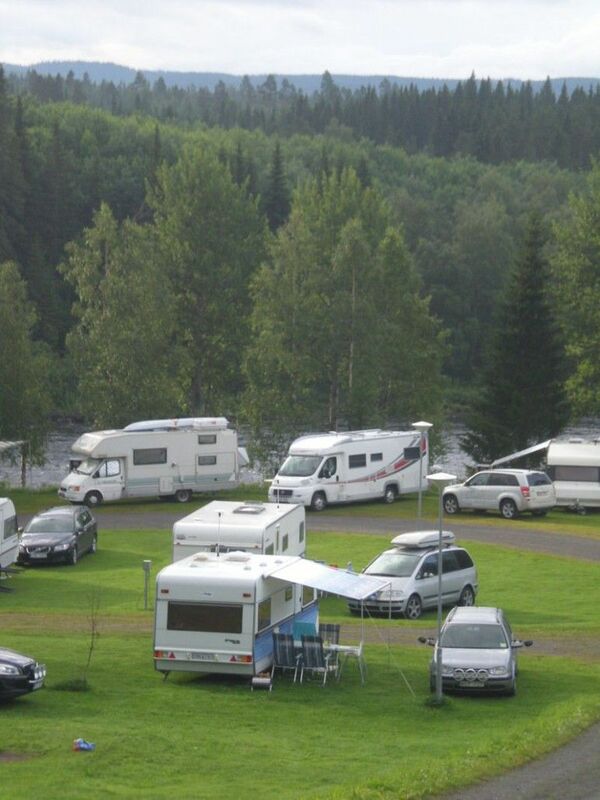 From the campsite you have a view over the river and the hills with woods on the other side. 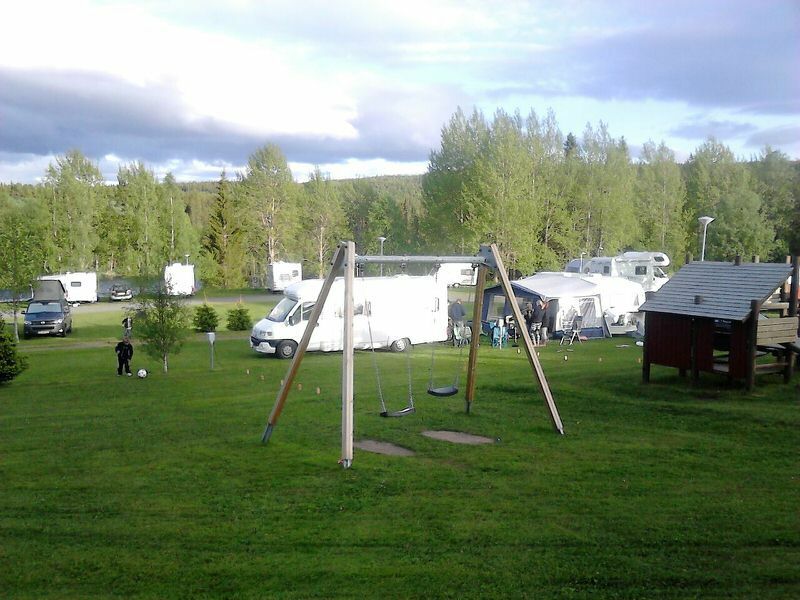 The campground has 30 spots and most of them are equipped with electrical connections. 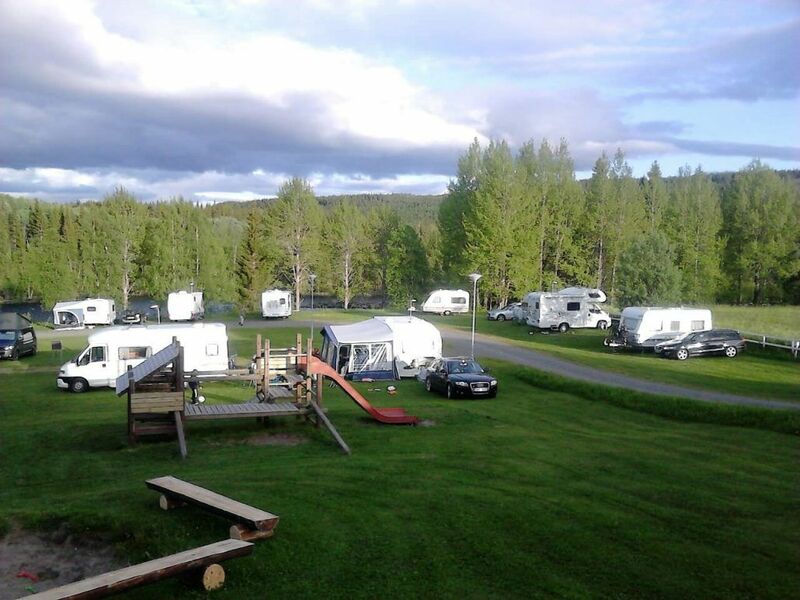 We offer free Wi-Fi to our guests on the campsite. 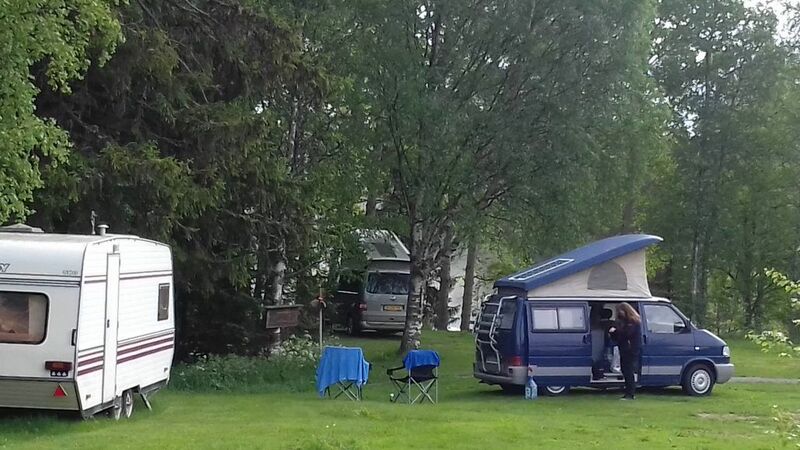 Beside showers and toilet the service building also offers a kitchen with cooking facilities and table with chairs. 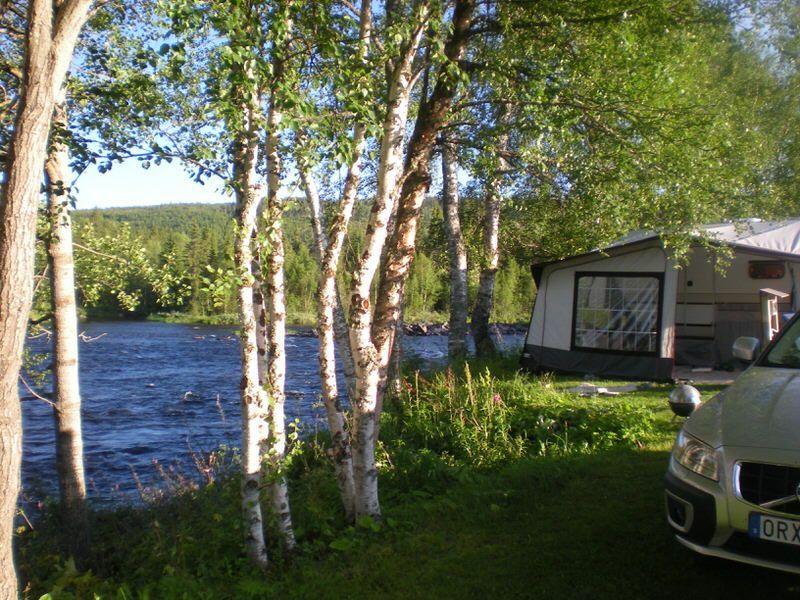 In the laundry room you can find a washing machine and dryer which you can rent at the reception. 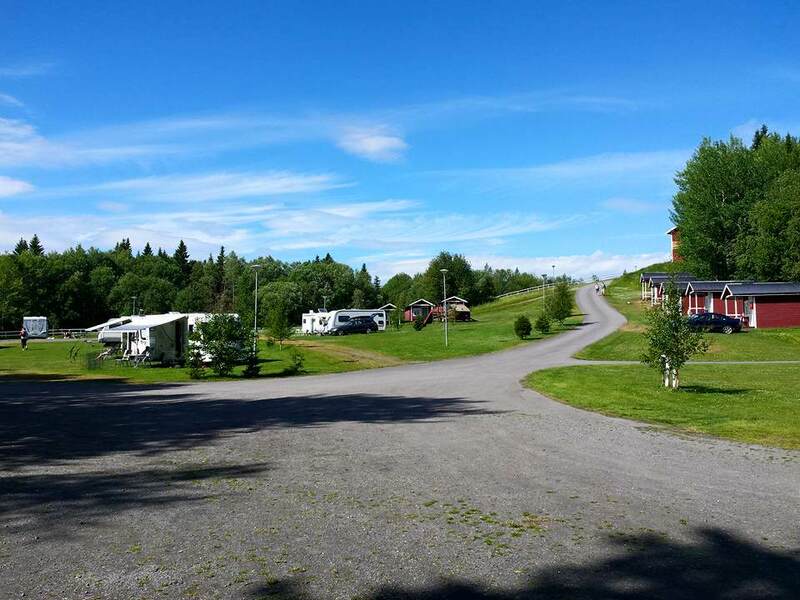 Outside of the service building you have the possibility to empty your grey water or chemical toilet and to fill your fresh water tank. 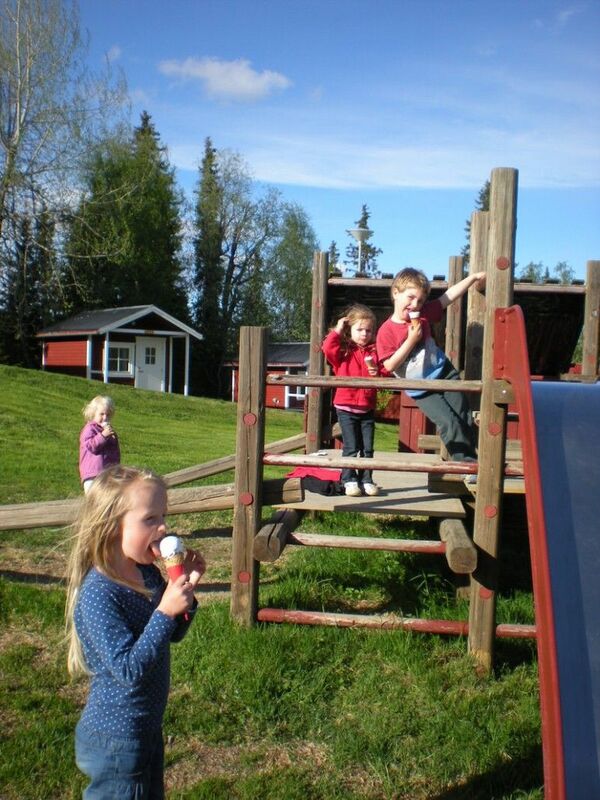 At the campsite the kids can, apart from the forest, enjoy a playground with a climbing frame, sandpit and swings. 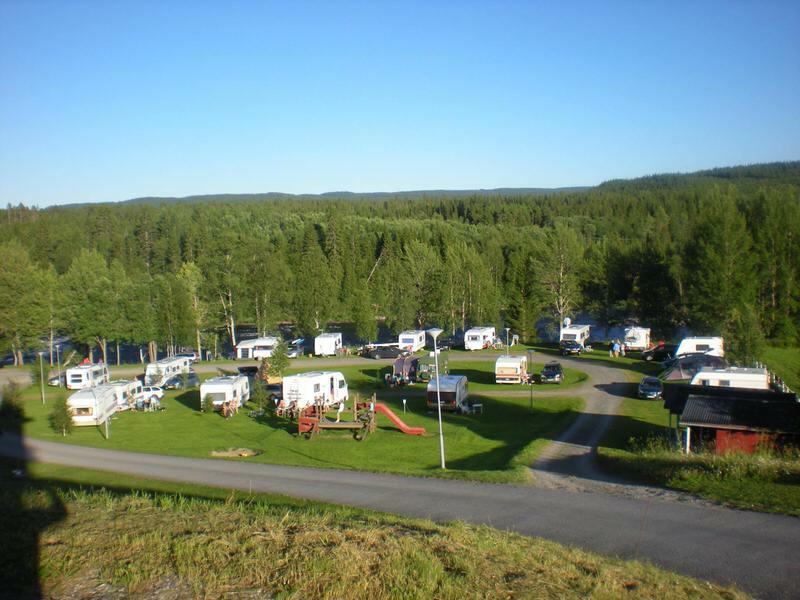 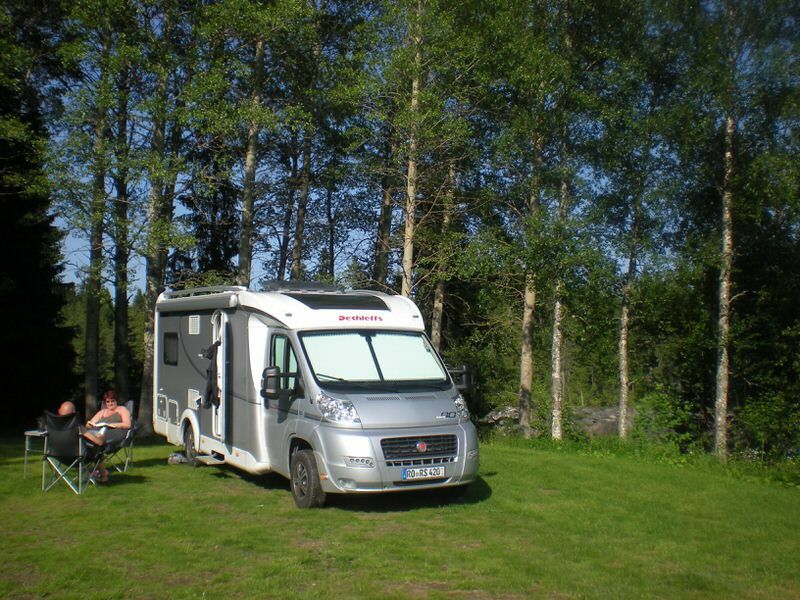 In 2010 and 2011 we were chosen best campsite of Jämtland on the travelsite Zoover.com. 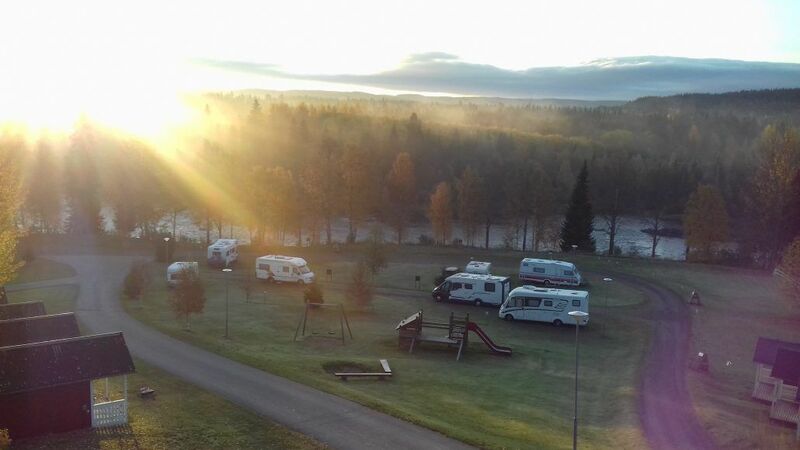 In 2015 we were selected as Sweden’s third best campsite on Zoover. 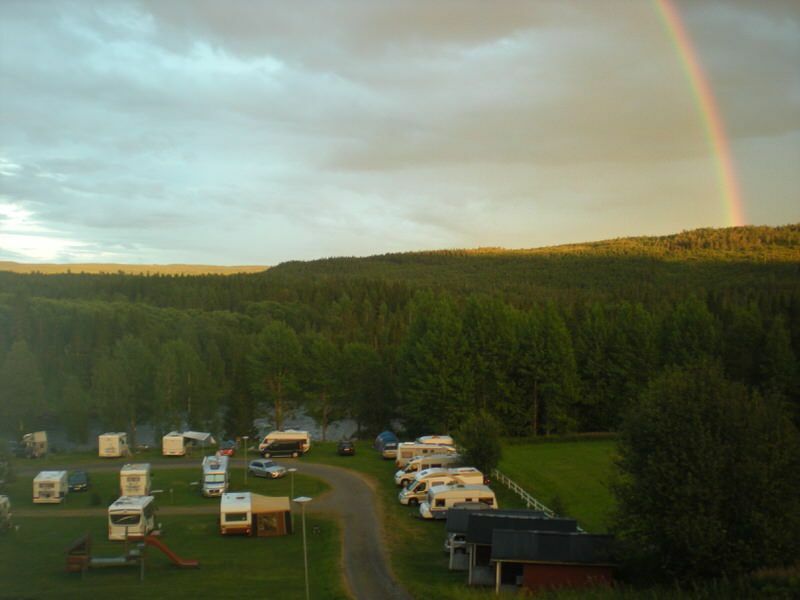 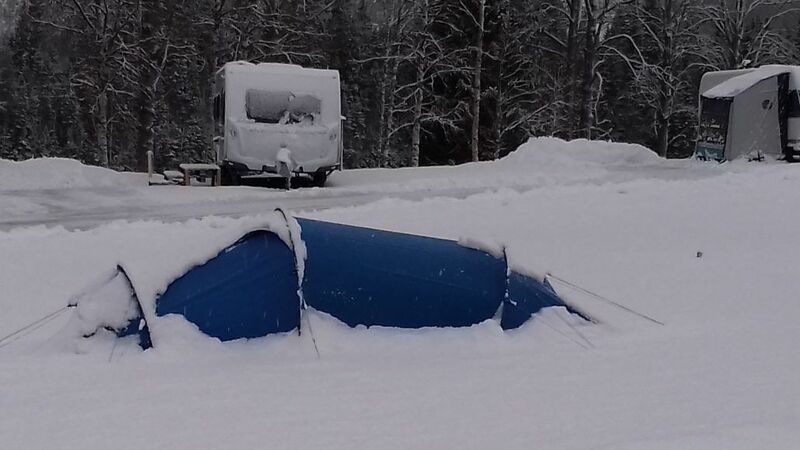 The price for a pitch for tent, caravan or mobile home is 275 sek per night, including use of shower and hot water and electricity for a family of two adults and up to four children. 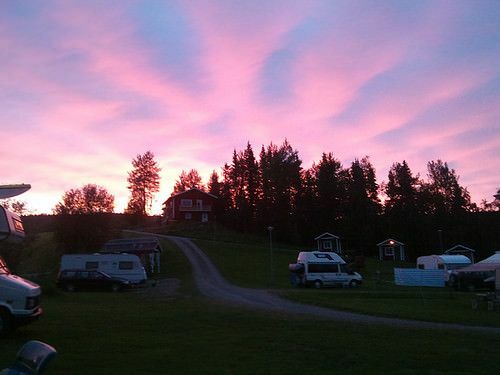 The price without electricity is 235 sek per night. 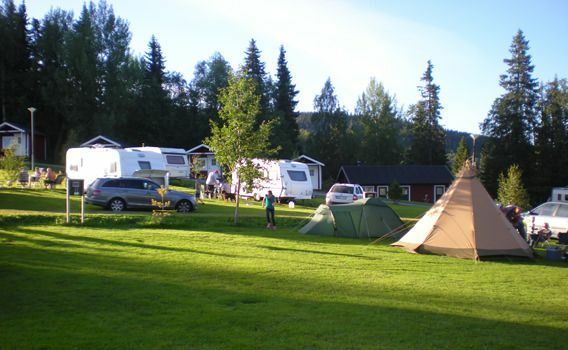 Bigger groups or additional adults can be charged an extra fee.